We have seen a lot of improvements in the ways of doing business in the past few years. But one thing has never changed is "Business cards/visiting cards." Most of the business people still prefer business card as their leave behind and the first touch of contact. Event organisers and exhibitors are among the few. 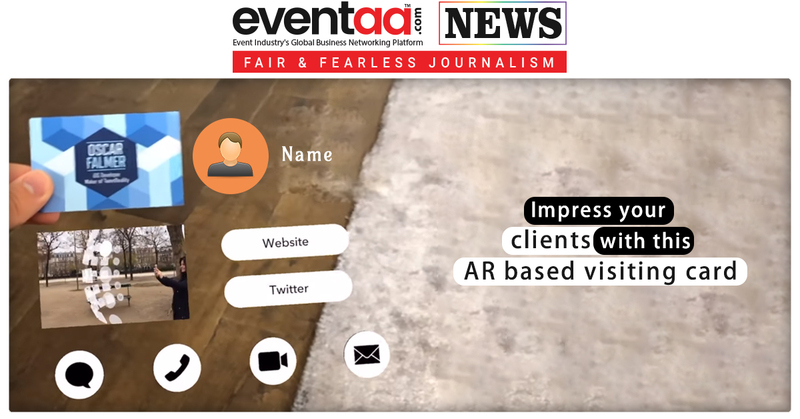 For them, this new AR-based business card would prove as a fascinating medium to impress their clients. The standard physical business card will expand and display a virtual screen with all your contact details. All you need is a phone to see the card’s extra functionality. You have to hold the card up, then launch a card reader application on your phone and pinpoint on the card. You will see the extended information. To build this card, Falmer used Image Live Tracking Technology, an ARKit 2.0 ( ARKit 2.0 is Apple’s augmented reality development environment) feature that allows your phone to track an image in 3D space and use it as an anchor to attach computer-generated images to the physical space.